David Aber emailed this photo on October 6th. 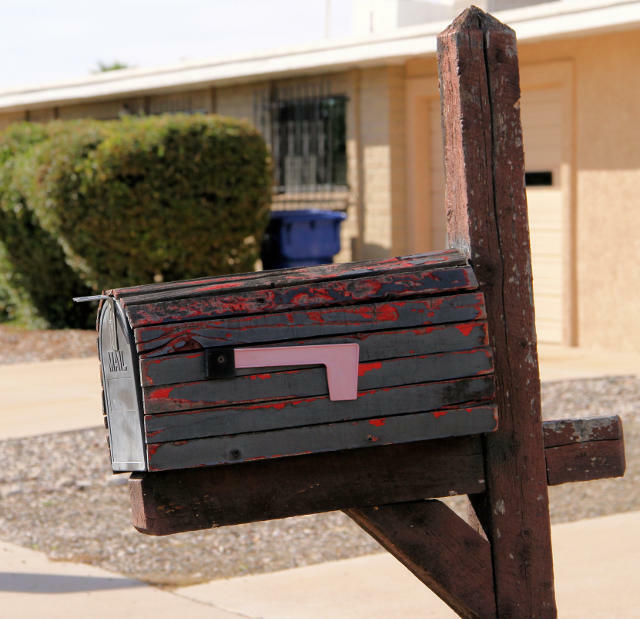 The mailbox has a couple (at least) of coats of paint; one is wearing off. Though I'm not sure the homeowner meant the box to look as weathered, I like the effect!